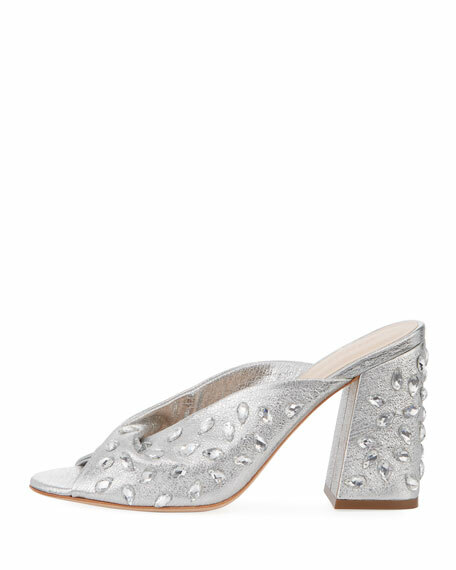 Loeffler Randall mule in crinkled metallic leather with jewel detail. "Laurel" is made in Brazil. 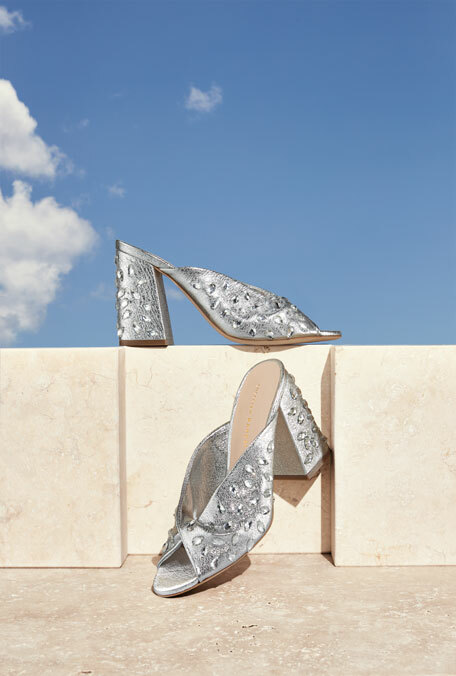 Designer Jessie Randall introduced Loeffler Randall in the fall of 2005, and the line's distinctive blend of feminine, approachable elegance was well received by both fashion editors and celebrities. 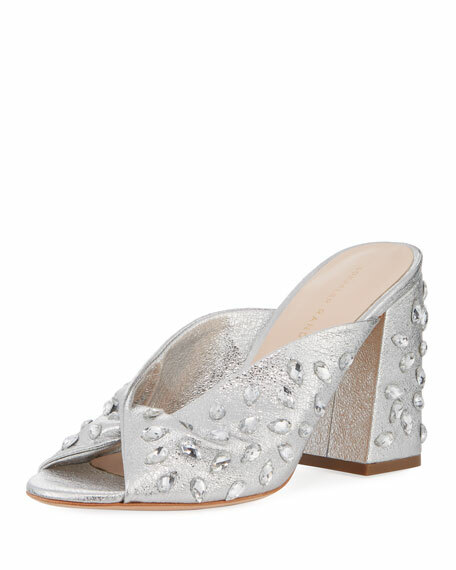 Just two short years after Loeffler Randal debuted, it was honored with the CFDA Swarovski Award for Accessory Design. 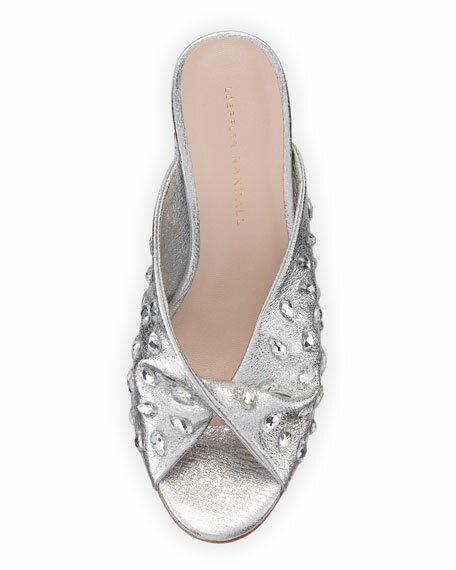 For in-store inquiries, use sku #2381372.